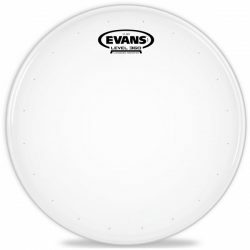 The Evans EC1 Reverse Dot combines the responsiveness of a 1-ply drumhead with the durability, control, and focus of thicker options. 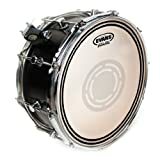 This is a great choice if you need a controlled snare drum head that is usable across a wide range of volumes. The Evans EC1 Reverse Dot is made with a single ply of frosted 14mil film, with control rings around the edge and an underside center control dot. 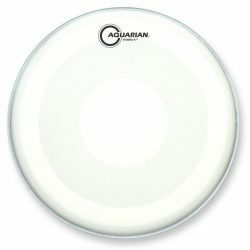 The frosted coating gives a small boost to midrange and low-end frequencies, and makes this drumhead usable with brushes. The control rings and control dot add, well, control! Clashing overtones are minimized, and the sustain is reduced. The EC1 Reverse Dot is very durable for a single-ply drumhead, with a focused sound. Sound-wise, the Evans EC1 Reverse Dot is warm and full. 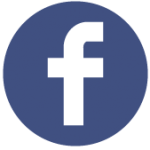 Higher frequencies are reduced by the thick single ply and the frosted coating. The added control rings and center dot focus the sound even more, reducing overtones and decreasing the ringing after this head is struck. The EC1 Reverse Dot has a low-moderate sustain, which is again very focused on the warmer side of the sound spectrum. 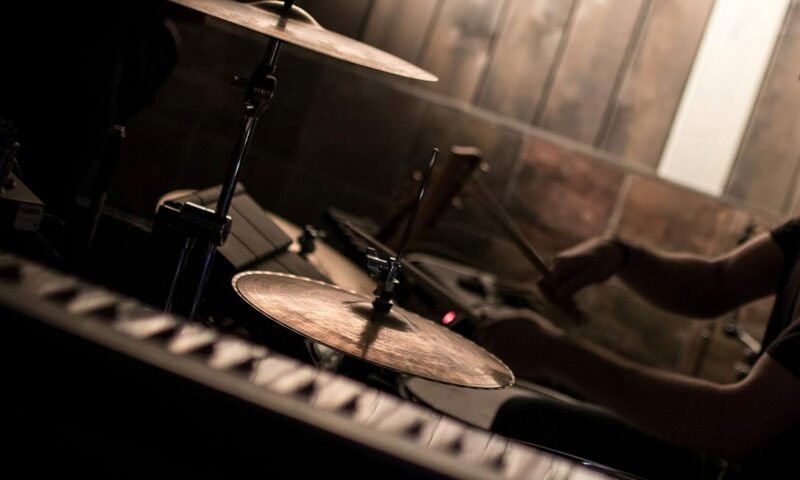 The Evans EC1 Reverse Dot is capable of producing a strong attack, with the center control dot adding extra pop to the sound, especially when hit harder. 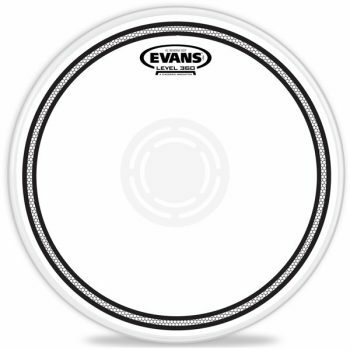 While this is a single-ply drumhead, the thick design and added center dot means that the Evans EC1 Reverse Dot is very durable. This head can be hit hard to produce a big sound, without worrying about damage. While there are more durable drumheads out there, the EC1 Reverse Dot can hold its own in most situations. This makes it a great choice for medium and high volume playing environments, where a big sound is needed to cut through. 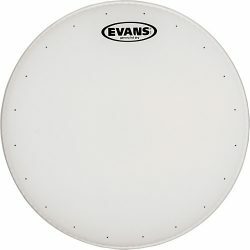 The single-ply construction also means that the Evans EC1 Reverse Dot is quite responsive for a thicker drumhead. The control dot reduces sensitivity slightly, but there is still enough responsiveness for lighter touches to come through well in most playing conditions. 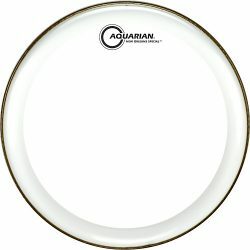 Note, however, that you may benefit from a more sensitive drumhead if you’re doing a lot of extremely light playing. If you like the feel and responsiveness of single ply heads, but want something more durable and focused, the Evans EC1 Reverse Dot is a great choice. This head can handle heavier hitting, but will also respond when lighter playing is needed. 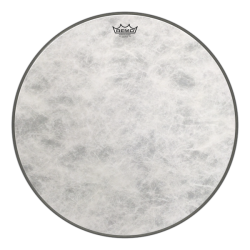 The control dot is on the underside of the drumhead, meaning it won’t get in the way of brushes, and won’t affect responsiveness too much when used with sticks. 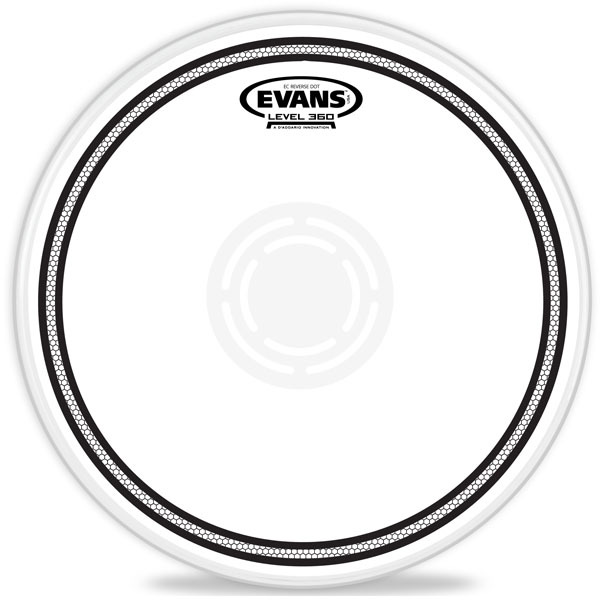 The Evans EC1 Reverse Dot is designed for snare drums, and is available in 13″ and 14″ sizes.